Novità : Pista ciclabile nuova di Zecca! News : new cyclopist direct to center city and beach! 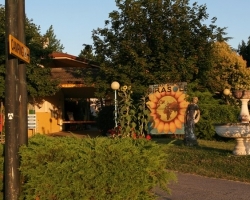 Il campeggio Girasole park è un centro ideale per chi vuole trascorrere una vacanza tranquilla vicino al mare. Immerso in un rilassante paesaggio naturale il campeggio e suddiviso in ampie piazzole ben ombreggiate e dotate di attacchi luce e acqua , due gruppi di servizi igienici con docce calde incluse ed ampi parcheggi. Per quanto riguarda l’accoglienza, disponiamo anche di diversi bungalow e camere, che possono ospitare da 2 a 6 persone . 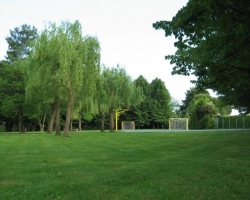 Molti sono i servizi che offriamo: bar, paninoteca, pizzeria ,sala ristorante al coperto ,parco giochi per bambini, 4 campi da tennis in terra battuta ,campo da calcetto, beach volley, basket, tennis tavolo, 2 piscine per adulti e bambini. 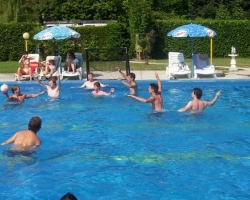 Ogni sera vengono organizzati vari tipi di animazione: feste in piscina, musica , cene a tema, proiezione di film, giochi e molto altro ancora. Per i possessori di barche c’è la possibilità di usufruire della vicina darsena ,completamente attrezzata . Per il servizio spiaggia offriamo un bus gratuito dalle ore 09:00 alle 19:00. 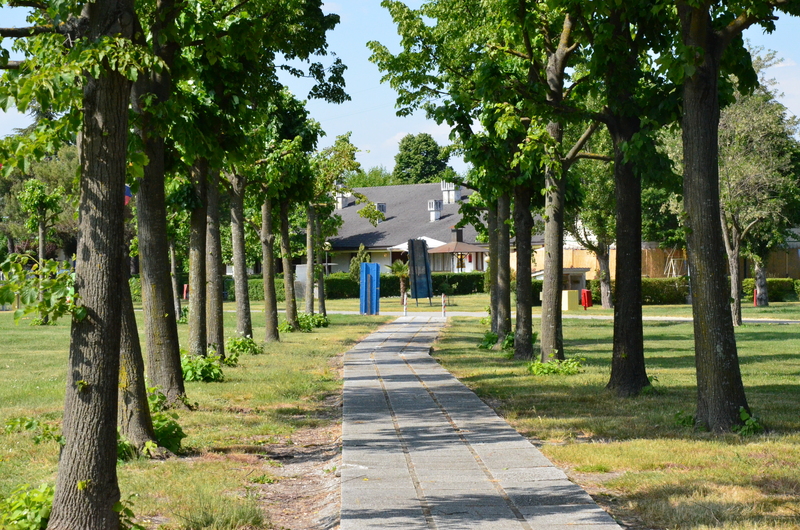 Il villaggio Girasole Park vi offrirà anche la possibilità di usufruire delle convenzioni con altre strutture es. 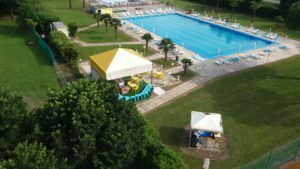 : Aquasplash, discoteche , ristoranti di Lignano, ed ogni stagione porterà innovazione e sorprese per tutti. 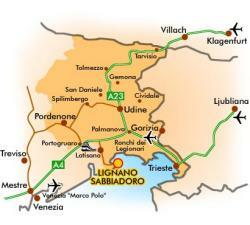 We are located in Aprilia Marittima, 2 km far from the seaside of Lignano Sabbiadoro and 2,5 km far from the centre. 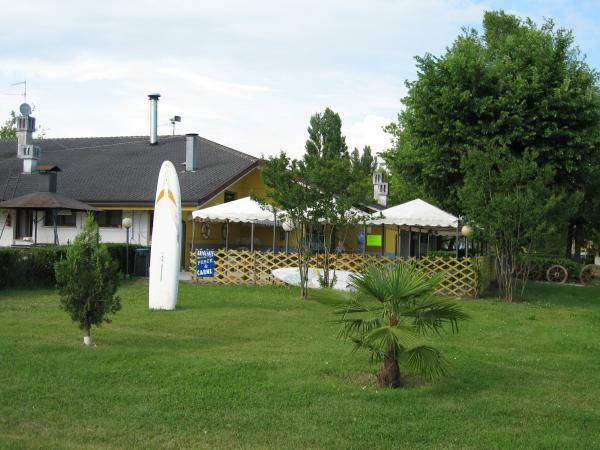 Camping Girasole Park is an ideal center for those who want a quiet holiday near the seaside. 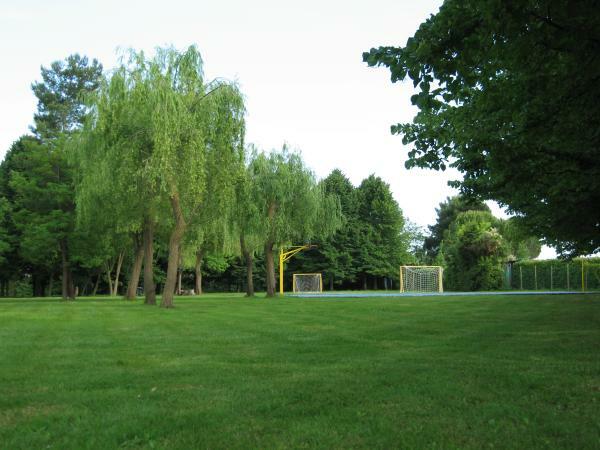 Surrounded by a relaxing natural landscape, camping and divided into large plots and shaded equipped with electricity and water, two groups of services including hot showers and plenty of parking. We have other types of accomodation, as bungalow and rooms that can welcome from 2 till 6 persons. 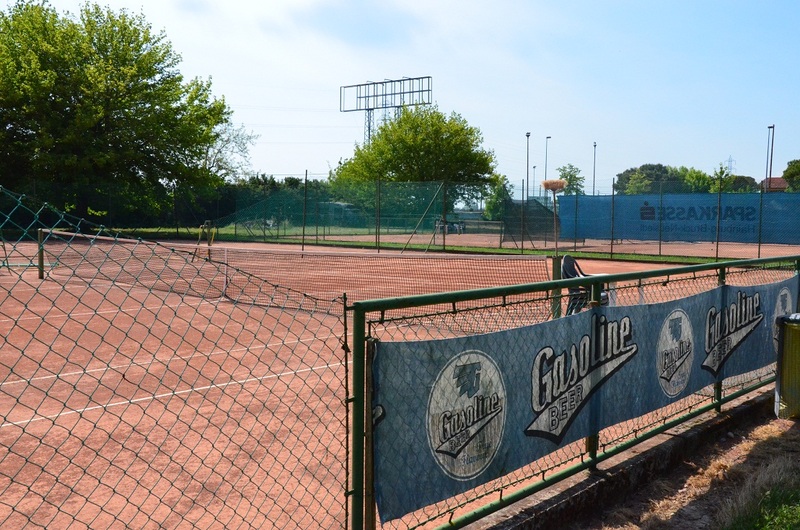 We offer many other services such as bar, sandwiches, pizzeria, restaurant indoor, playground for children, 4 tennis courts, soccer field, beach volleyball, basketball, table tennis, 2 swimming pools for adults and children. 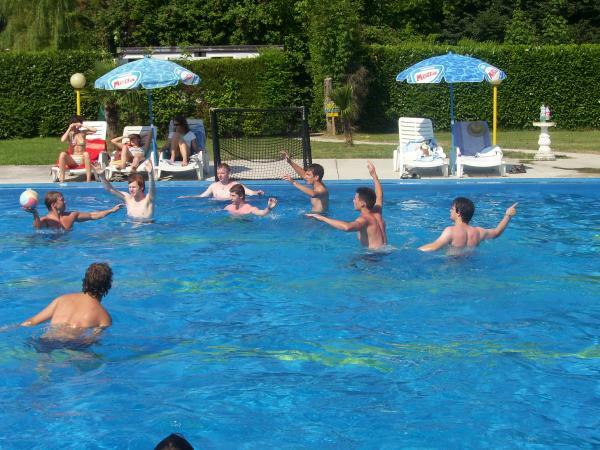 Every evening we arrange various types of entertainment for every kind of age, completing the accomodation offer: pool parties, music, theme dinners, films, games and more. For owners of boats is possible to use the nearby dock, fully equipped. 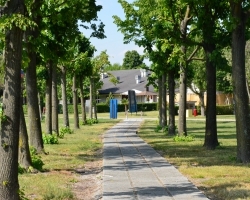 Girasole Park Village also offers you the opportunity to take advantage of agreements with other facilities eg. : Aquasplash, nightclubs, restaurants lignano, and each season will bring innovation and surprises for everyone. 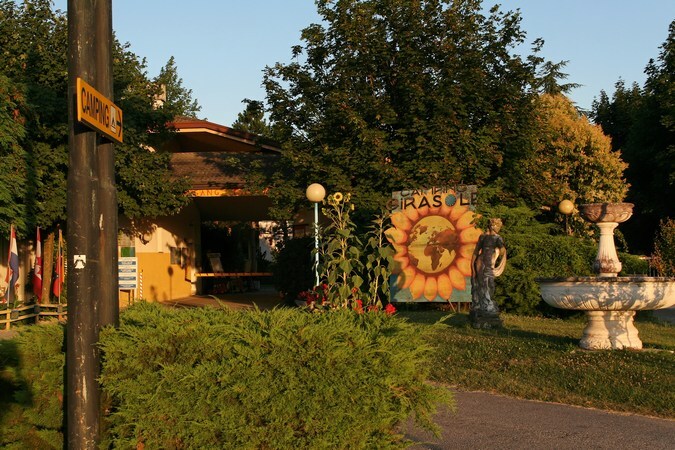 Der Girasole Park ist ein Ferienzentrum, ideal für diejenigen, die einen ruhigen und erholsamen Urlaub in der Nähe des Meeres verbringen wollen. Der Campingplatz liegt in eine natürliches Landschaft, inmitten einer ruhigen Umgebung der in breite und schattige Stellplätze aufgeteilt ist, mit Stromanschlüssen und Wasserzapfstellen mit Trinkwasser ausgestattet ist; zwei Sanitäranlagen mit Warmwasserduschen stehen den Besuchern kostenlos zur Verfügung. Wir haben auch Bungalow und Zimmer, die kann man vom 2 bis 6 Personen beherbergen. 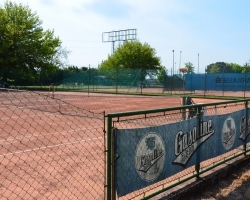 Wir verfügen über Bar, Mini-Restaurant und Sandwitchbar ( nehmen aber auch gerne Tischreservierungen in umliegenden Restaurants für Sie vor), Kinderspielplatz, 4 Tennisplaetze, Tischtennis, 2 Schwimmbäder ( Kinder – Erwachsene), Fussballplätze sowie über Basketball- und Beachvolleyplätze. Die Abende sind abwechslungsreich gestaltet mit Animazion für alle Altersklassen, z.b. Partys am Schwimmbad, Themeabende, Films, Musik und vieles mehr… Es gibt auch einen Radweg im Bau, mit denen einfacher sein, die am Meer erreichen wird. Für Besitzer von Booten möglich ist, die in der Nähe Dock, eine voll ausgestattete verwenden. Es bestehen auch Abkommen bzgl. 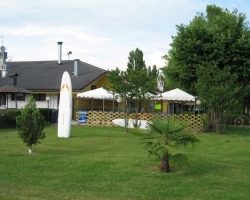 Eintrittsermässigung mit Aquasplash und verschiedene Discotheken in Lignano Sabbiadoro.